Pink Diamonds? — Marketing Analytics | Online Guide for Marketing Professionals. What made them so desirable? Exhibit 1.0 Advertisement of diamonds from the 1950s. “The word VALUE, it is to be observed, has two different meanings, and sometimes expresses the utility of some particular object, and sometimes the power of purchasing other goods which the possession of that object conveys. The one may be called 'value in use;' the other, 'value in exchange.' The things which have the greatest value in use have frequently little or no value in exchange; on the contrary, those which have the greatest value in exchange have frequently little or no value in use. Nothing is more useful than water: but it will purchase scarce anything; scarce anything can be had in exchange for it. A diamond, on the contrary, has scarce any use-value; but a very great quantity of other goods may frequently be had in exchange for it.” — quoted from Adam Smith’s An Inquiry into the Nature and Causes of the Wealth of Nations. The unknown is synonymous with unease. If a customer is offered diamonds of a peculiar shade, despite how captivating the pitch might be, she is likely to harbour a suspicion that the jewels are not genuine. If you have not heard of a particular brand, or a product, or a pink diamond, not only do you lack the interest in buying it, you also tend to be dubious of the person or the organization that tries to sell it to you. And so the discovery of diamonds embedded in an ant hill in the East Kimberley region of Western Australia in October 1979 posed a challenge for Rio Tinto. 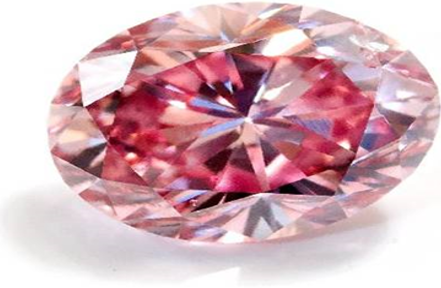 At the time of the discovery, the notion that diamonds could be intense pink was virtually non-existent. Undoubtedly, associates at the mining company would have pondered how to generate demand for these gems. Diamonds and water lie at opposite ends of a spectrum. Which you consider more valuable depends on whether you assess them in terms of their “value in use” or their “value in exchange”. And while the paradox of value may be explained by the theory of marginal utility and the mechanisms of supply and demand, one might wonder what is it that makes tiny rocks of pure carbon so precious to begin with? Why do so many young men all over the world spend hard earned savings on a glittering diamond ring that, once bought loses over 50% of its monetary value? The rationale in part lies in their sheer beauty, their famed indestructibility and the strategy adopted by a few dominant players of managing supply. To a greater extent, however, their value is the outcome of beliefs and memorable associations imparted through marketing. Marketing generates knowledge, awareness, interest, curiosity and status; it makes products desirable. 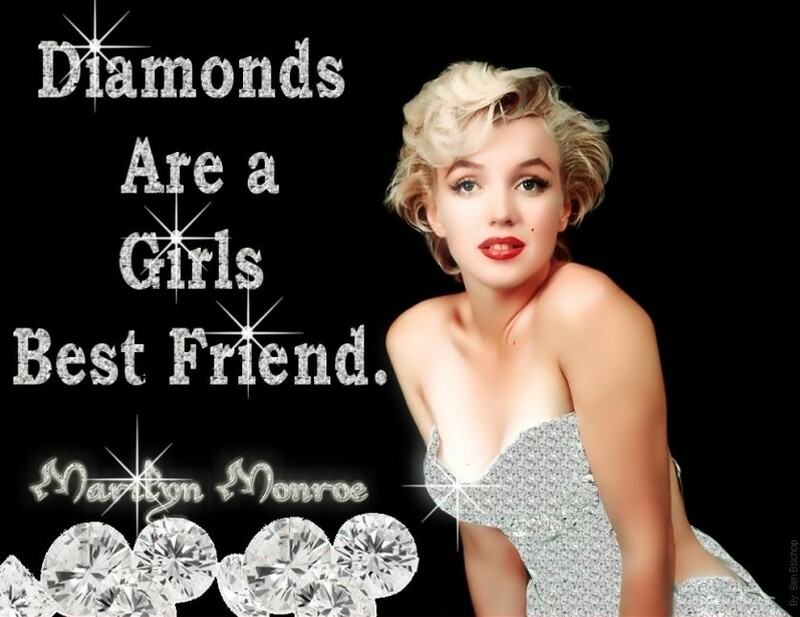 A plethora of memorable media campaigns, such as the one featuring Marilyn Monroe in Exhibit 1.0, have contributed to the charm and the allure of diamonds. Great monarchs and famous movie stars have proclaimed their love for these gems. An Archduke in 1477 gave his fiancée a diamond ring when he proposed to her, and men have since followed his example. Over the years a great many images, symbols and beliefs have become associated with diamonds, contributing immensely to their intangible value. In terms of physical attributes, other than colour, pink diamonds do not lack the qualities of clear diamonds, and they are far rarer. What they lacked at the time of their discovery was awareness, interest and status. Exhibit 1.1 ArgylePink — “Beyond Rare — The most concentrated form of wealth on earth”. Through branding and marketing, Rio Tinto imbued the pink diamonds with interest and status. Marketing communication powerfully influenced consumers’ minds, creating an alluring mystique about their origin and colour. Described in advertisements as “the most revered diamond in the world”, the pink gems, through a range of marketing efforts, metamorphosed into the rare, exclusive, and much desired Argyle Pink (Exhibit 1.1). They are now sought after by investors, collectors, celebrities and high net worth individuals, and command a high premium. The brand, Argyle Pink, captures much of the intangible value that is created through marketing. It makes intangible benefits — such as intrigue, fascination, curiosity, fame — tangible, and associates these attributes with pink diamonds, and more specifically those mined in the Kimberly region. It is the beliefs, symbols, perceptions and associations that consumers hold in their head about the Argyle Pink, that ultimately affects their desire to purchase these diamonds at the premium prices that they command. Incidentally pink diamonds were first discovered in Kollur, Andra Pradesh, India, a few hundred years before their discovery in Australia. The Kimberly mine, however, is the largest source contributing 80% of the world’s pink diamonds.